Anyone seeking to mend a broken heart, turn enemies into friends, or find a guardian angel will find encouragement in this uplifting, inspiring, and entertaining book. 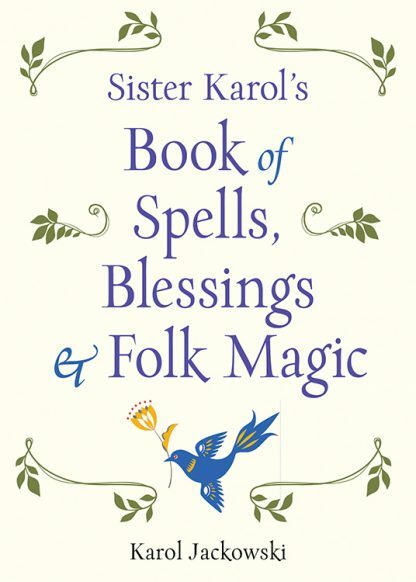 Author Karol Jackowski introduces, explains, and explores the nature of spells, prayers, and blessings and offers practical suggestions for their use. Readers will learn how to cast spells, create altar space, and most crucially how to live their best spiritual and magical lives. Karol draws from a variety of spiritual and folk magic traditions with a focus on the power of positive thought. The first half of the book provides magical and spiritual instruction, while the second half consists of Sister Karol�s personal book of spells and rituals, derived mainly from Catholic folk magic, but also from Buddhist, Jewish, Native American, and Wiccan influences. Karol Jackowski�s life as a nun began in 1964, when she joined the Sisters of the Holy Cross in South Bend, Indiana. She graduated from Saint Mary�s College in South Bend in 1969 with a BA in sociology and then from the University of Notre Dame in 1974 with an MA in theology. Karol spent half of her life as a nun at Saint Mary�s College, first as a student and then as an administrator in various capacities. In 1990, she moved to New York City to finish her PhD at New York University. During this time, she was also the chief operating officer of an East Village novelty store called Alphabets. In 1995, Karol left the Sisters of the Holy Cross and became part of the Sisters for Christian Community, an independent, self-governing sisterhood. She is the author of numerous books and an acclaimed artist, whose work is in private collections and displayed in the Veselka restaurant in New York�s East Village.